Everyone, including doctors, makes mistakes. That is a part of life. Moreover, everyone, including doctors, is responsible for the mistakes they make. Legally, if a lack of care caused the mistake, the doctor or other negligent actor may be responsible for damages. Liability is usually easier to establish in these cases. Doctors have a very high duty of care. Since patients rely 100 percent on doctors to take care of them, doctors must have a high degree of skill and pay close attention to details. A lapse in either area could mean liability for damages. Typically, these damages include compensation for economic losses, such as medical bills, as well as noneconomic losses, such as pain and suffering. Given the high duty of care in these cases, additional punitive damages are rather common as well. Most hospital operating rooms are confusing and busy places which rely on precise teamwork. 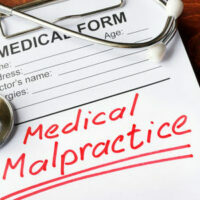 In such an environment, surgical mistakes and other forms of medical malpractice in Tampa are not uncommon. In fact, the only surprise is that these errors are not even more common. In any high-pressure atmosphere, the slightest flaw could have tragic consequences. Many mistakes occur at the outset. Some doctors operate on the wrong patient or perform the incorrect procedure. A simple check, like verifying the information on the chart, could effectively prevent most or all of these errors. But unfortunately, attention to detail is not a strong suit in many physicians. Typically, an invasive procedure means larges amounts of anesthesia. Too much, and the patient may not wake up after the operation or have other problems. Too little, and the patient could wake up during the procedure itself. Additionally, many people have strong allergic reactions to certain types of medicine. The chance for serious error does not end once the surgeon says “scalpel, please.” In fact, the risk goes up. Most operations are incredibly delicate procedures. A slight twitch could mean permanent injury. Additionally, many patients leave operating rooms with foreign objects, like sponges or clamps, inside their bodies. Again, a simple instrument count could prevent these events. As a result, the punitive damages in these kinds of cases are usually significant. Patient drug allergies are often an issue here as well. Many people should not take certain medicines, especially when used in common with other medications. Moreover, many doctors do not stress the importance of following instructions. So, the patient may assume that the “instructions” are more like “guidelines.” Tragedy often follows. Sometimes, there are issues with dosage and other medication administration problems. Many times, recovering surgical patients go to busy long-term care centers or rehabilitation centers. It is quite easy for a medical technician to miss a decimal point or commit another error. While understandable, these mistakes fall below the standard of care. The supervising doctor, and therefore the clinic or other entity which employs the doctor, is ultimately responsible for all surgical and post-surgical mistakes. So, regardless of the nature of the error, the same high legal duty applies. Because of several factors, surgical mistakes often lead to significant compensation. For a free consultation with an experienced Tampa medical malpractice attorney, contact The Matassini Law Firm, P.A. We routinely handle matters in Hillsborough County and nearby jurisdictions.